Rejoice! Spring is finally here, and as we are set to benefit from early nights and warmer weather, you’ve now got a great chance to give your car some desperately needed TLC after what was another tough Great British winter. Winters are hard on us all, especially our vehicles. Bad weather conditions can really take their toll on your car and this is made worse if you haven’t been able to properly maintain your car for a couple of months. Make up for those months of winter neglect by giving your vehicle a well deserved spring clean. If you’ve got an older car, there’s every chance that the inside remained damp throughout the entire winter period because wet shoes and clothes brought in moisture, and there simply wasn’t the heat required to dry it out. This means that your carpets and other upholstery might be discoloured, or even worse, rotting. The first thing you need to do is remove your mats before vacuuming, and then shampoo your carpets. It’s always worth doing this on a warm, sunny day because you can keep your doors open to dry out your car, though do keep your eye on it, as burglaries can happen anywhere at any time. If you notice wet patches underneath the carpet then this might be a sign of water penetration, which can lead to serious problems. In this case it’s always worth having your car looked at by professionals at a local Trust My Garage member, who will locate the point of water and rectify the problem for you. Over the course of the long hard winter your car will have collected a lot of mud and grime, and it’s not just for superficial reasons that you need to remove it. If you’ve got a particularly dirty car you might be wondering where the best place is to start, but by focusing on the roof first it’ll allow your shampoo and warm water to rinse down the car and soak the particularly stubborn dirt that’s collected at the bottom. Pay special attention to the undersides of the doors and sills and have a look for any areas of corrosion and stone chips which will only get worse over time. If you feel uncomfortable about this then consult your local Trust My Garage member as soon as possible. Next it’s time to sort out the underneath of your car, and this is probably the part you’re dreading the most. It’s not surprising that it’s the underside of your car that takes the real brunt of the winter conditions, and when you consider the grit and salt that are put on the roads it’s vital you remove any build ups because they can be corrosive. 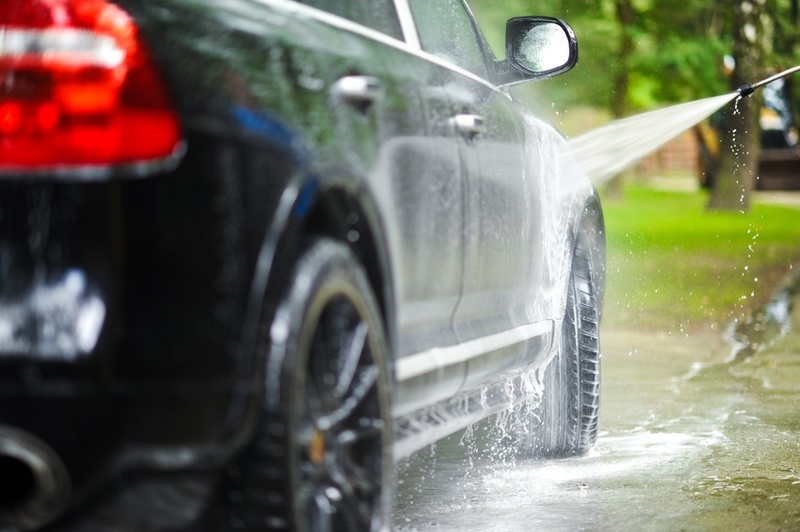 Hose down the underside of your vehicle and ensure you pay special attention to the front and rear wheel arches, where there will be a lot of mud and salt. Your vehicle’s fluids will have likely depleted over the winter period, especially your windscreen washer fluid which was constantly battling against rain streaks. You should be regularly checking your oil levels anyway so now is the perfect time to check your dipstick. If your car is consuming unusually high levels of oil then it could indicate a problem with your engine. You should also look at your engine coolant levels and top your coolant up when necessary. Your tyres will have gone through a lot over the course of the winter because of poor road surfaces and potholes caused by heavy rain, and now is a perfect time for you to ensure they’re safe. Your tyre tread will become worn over time, and though the legal minimum is 1.6mm, we strongly recommend you have at least 3mm. When your tyres are under-inflated the car’s handling will seriously deteriorate and your car may behave unpredictably and erratically. You should check your pressure at least once a month and before you set off on any long journeys. Consult your handbook so you know the right pressure, as this differs between makes and models. Once you’ve found the correct pressure level you need to use an accurate pressure gauge. Wait for your tyres to cool down and take the dust cap off the valve, fix the gauge on and take a note of the pressure result. If it’s too low then you can pump it up at home, use facilities provided by many petrol stations or head to a local trusted independent garage. If it’s too high then let some air out by pressing down on the valve stem. Once spring comes around it’ll probably be time for you to replace your windscreen wipers as they’ll have been in almost constant use over the incredibly wet winter we’ve all witnessed, and they will have also have combatted with sharp changes in temperature due to the frosty mornings. Batteries have to work much harder during periods of cold weather, so old or depleted batteries will need to be replaced. If your battery is over three-years-old you should be getting it checked and, if necessary, replaced. It may seem expensive at the time, but it can be cheaper than a recovery bill. You may think that you can replace a battery yourself but if you have a modern car with a ‘stop-start’ system it is important to fit the correct type of battery. For some modern cars a replacement battery must be ‘coded’ to the car and this is definitely a job for a garage. Brakes also need to be checked ahead of spring time. You will need to make sure your brake fluid is at the correct level as low brake fluid can be an indication of excessive brake wear or fluid leak. Have the brake discs inspected and measured as well as checking for pad wear. These checks will play a vital part in your car’s overall wellbeing, and although you should get into the routine of carrying out these checks regularly, there’s no substitute for having your vehicle looked at by a professional. A Trust My Garage (TMG) member will ensure that your vehicle has not been badly damaged by winter weather conditions and is safe and fit for driving during the new season. The quality offered by independent garages is no less than that offered by main dealers. TMG members have the same access to technical information and expertise to ensure that your vehicle remains roadworthy whatever the weather and whatever the season. Visit the Trust My Garage website to find your nearest member. What’s the difference between a mechanic and a technician? Remember when ‘mechanic’ was a dirty word? A mechanic would typically be portrayed with grease down their overalls, they used to fix cars with little or no explanation about the work they were carrying out and drank more cups of tea than they actually serviced vehicles. We’re changing that. In fact, times have moved on so much since the days of the ‘greasy mechanic’ that we don’t even call them mechanics anymore – they are technicians. Why? Because ‘mechanic’ just doesn’t do them justice any more. Vehicles have moved on at lightening pace over the last few years. Electrics have become more complicated, engines are more sophisticated and often, a simple toolkit just doesn’t suffice. 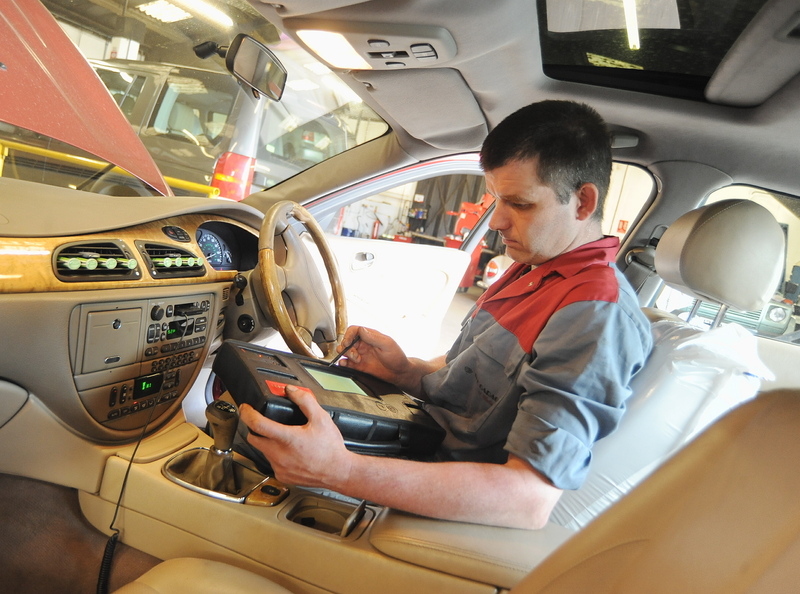 Today, garages need diagnostic equipment and access to the latest technical training courses. At Trust My Garage, we make sure that all our members employ fully trained, professional technicians to service your vehicle. In fact, we have recently successfully delivered over 1,000 hybrid vehicle courses to our member base. A mechanic can be anyone, certified or not. They often throw parts at a problem and hope it resolves an issue, whereas a technician is certified and utilises their training and extensive knowledge and experience to diagnose and pinpoint a problem, whether mechanical or electrical, ensuring that your vehicle remains safe on the road. At Trust My Garage, we make sure all our garages are trusted to work to high standards, use up-to-date technical information, techniques and tooling in every service, and achieve key industry standards set by the RMI. We make sure they are transparent on their pricing and treat you as a valued customer, every time you visit. We want to make sure that whenever you visit one of our member garages, you receive a service so honest, professional and friendly that you go back again and again for your services, general maintenance and repairs. Just to put into perspective the way that we have moved the motor industry forward in recent years, below are five typical connotations of a mechanic and five genuine traits of technicians. Which one would you want looking after your vehicle? 4. Have the opening line ‘I can fix it, but it’s going to cost you’, no matter what the problem was – usually accompanied by a sharp intake of breath! To find a technician you can trust to look after your vehicle, look out for the Trust My Garage shield. Enter your postcode on our website today. 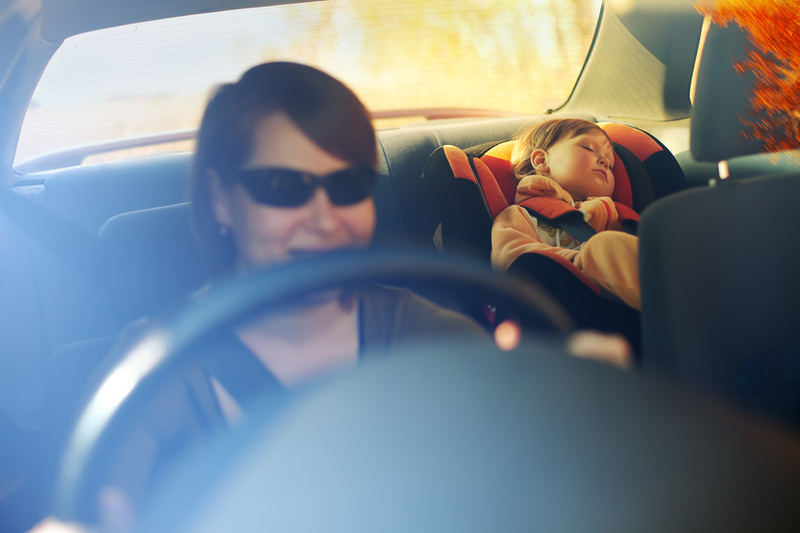 Every parent will know that their child’s safety and security is paramount, especially when they’re in the car. Despite the efforts that parents make to ensure their children are safe, there are some horrifying statistics that show that some just aren’t taking the right precautions when driving their little angels around. According to the Child Accident Prevention Trust, twelve children under the age of 10 are killed or injured as passengers in cars every day, but this can be greatly reduced with the help of our easy-to-follow advice. This might seem like an obvious thing to do, but when you’re in a rush it’s sometimes only natural that you’ll put your foot down. No matter how soon you’ve got to be somewhere, or however late you’re running, you should always drive at a safe and legal speed. Increasing your speed might mean you arrive at your destination a few minutes earlier, but the difference between a few miles per hour can mean the difference between life and death. Remember that the speed limit is the absolute maximum speed you can drive at, and it’s not always necessarily a safe speed to drive at, especially when conditions are challenging. You must be aware of the law that surrounds your child’s safety seat and you must also know when they need to be changed or upgraded. You’re legally required to put your child in a seat until they’re either 135cm or 12-years-old, whichever one comes first, though this is just a guideline, and often it’s safer if you keep them in one for a bit longer. Infants must be sat in a rear-facing seat, and it’s always far safer if they’re put in the back of the car. You can have your rear-facing seat in the passenger side of the car but only if there’s no active frontal airbag. The reason that these seats are rear-facing is because they provide greater protection for the baby’s head, neck and spine than forward-facing seats. Adult seatbelts aren’t designed for children because they don’t sit on the right parts of the body, so never just presume that it’s safe for your child to have a seatbelt on. Holding a small baby in a car crash at 30mph would be like trying to lift eight bags of cement at the same time, so make sure they’re properly strapped up, even if you’re embarking on a short journey, which is when most accidents occur. Once a child reaches the age of nine months they can be seated in a forward-facing child seat with an integral harness; the large part of harness will help to reduce the risk of injury if the car crashes, while the bottom attachment helps prevent the child from slipping out of the seat. Only move your child into a booster seat once they weigh between 15 – 25 kgs (33 – 55 lbs) or roughly 4 to 6 years, and a booster cushion once they weigh between 22 – 36 kgs (48 – 79 lbs) or are between 6 and 11 years. If you have a modern car it will probably have “Isofix” mounting points for a child seat. This is a significantly better method of attaching a child seat than the vehicle’s seatbelts and should always be used where possible. You will need a compatible seat and your local Trust My Garage member will be able to help you select the right model. You should never buy a second-hand seat for your child because it can be impossible to tell if a seat has been damaged in an accident or dropped. It’s always far safer to invest in a new one, but make sure that it fits your car before you buy it, because not all seats will fit all cars. There are a number of routines that you and your child should get in the habit of following, including getting your child to exit the car on the footpath side, rather than the roadside door. It’s so important that you take your child with you whenever you leave the car, even if it’s just for a minute, because whenever your child is out of your sight there is the chance of an accident happening. You should always keep your car keys stored safely and hidden from your children. We all know how naturally inquisitive children are and if they find a set of keys they might try and emulate you and get in the car and start it up. The best place to store them is somewhere only you can reach. You should also remove your car’s cigarette lighter, if it has one. To help reduce the risk of your car breaking down, and the inevitable problems that can cause, you should carry out regular checks on your vehicle. A simple way of remembering exactly what to check is to follow our POWER acronym, which stands for petrol, oil, water, electrics and rubber (tyres). You don’t need to be a technician to carry out these simple checks, and once you get into the routine of doing them fortnightly you’ll start following them like clockwork. For more information, head to our POWER blog which shows you exactly what you should be looking for. Remember, these checks might just be the difference between a safe journey and your child becoming a road accident statistic. While these checks are vital in ensuring your car is safe for both you and your children, there’s absolutely no substitute for getting your vehicle regularly serviced at a trusted local independent garage. Putting your car in the hands of trained professionals will help ensure problems are detected at an early stage, and will hugely reduce the chances of your car breaking down, which can cause potentially dangerous accidents. Put you and your child in safe hands. Find a garage you can trust by entering your postcode into our online garage finder. Owner of a new car? Then reap the benefits of independent maintenance! Perhaps the most telling sign of our recovering economy is that 2013 saw the highest number of new car registrations since 2007, before the world was plunged into the doom and gloom of the global recession. 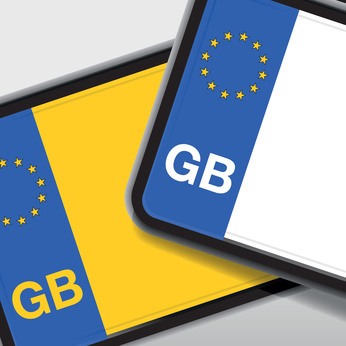 Figures released by the Society of Motor Manufacturers show that 2,264,737 new cars were registered in 2013, and December marked 22 months of consecutive growth, a statistic that’s unparalleled across Europe and makes the UK the second strongest automotive manufacturer, behind perennial manufacturing powerhouse Germany. Motorists lucky enough to own a new car will want to make the most of the technology at their disposal, and that means receiving the best maintenance at the best price. It’s a common misconception that having your new car serviced at an independent garage will void your warranty, and that you must go to a franchised dealer. This is absolutely not the case, and in fact under European Law, the Block Exemption Regulations give you the right to have your vehicle serviced, maintained and repaired at an independent garage of your choice, without invalidating your warranty. This is as long as the independent garage services the vehicle according to the manufacturer’s schedule using parts which are of “equivalent quality”, which all Trust My Garage members comply with. So, what are the benefits of having your new car looked after by an independent garage? Well, the most obvious one is the cost saving you’ll enjoy. New cars don’t come cheap and it’s likely you’ll have invested a serious amount of money into yours, so why needlessly waste money going to a main dealer? The Independent Garage Association recently polled 2,000 of its members and the statistics are quite startling. The poll showed that the average labour cost is just over £40 for independent garages, whereas the same rate for main dealers is currently much higher. It’s only natural to assume that the cost saving will mean a sacrifice in quality, right? Wrong! Members of Trust My Garage have access to the same level of technical information and parts as main dealers, and train their staff to the same levels too. There is no compromise on the quality of work you’ll receive at an independent garage, meaning you’ll receive both great service and fantastic value. It’s also worth pointing out that you’ll have a far more positive experience at an independent garage, which are often family fun businesses, because they rely on your continued custom, and will go that extra mile to ensure you keep going back. Main dealers don’t rely so much on retained customers, and more often than not you’re just another statistic. Technicians at independent garages are well and truly part of the local community, they’ll shop at the same grocers at you and take their kids to the same school as yours. By choosing an independent garage you’re reinvesting money back into your local community, which can only be a good thing! Don’t fall for the myth that states you need to have your vehicle serviced at a main dealer. By going to a local trusted independent garage you’ll not only receive a level of service that is at the very least is on a par, but you’ll also save yourself a lot of money at the same time, money that can go towards your next new car! Visit the Trust My Garage website to find your nearest member. Each Trust My Garage member has all the skills and technical expertise required to give your vehicle a thorough service. Members of Trust My Garage are true professionals, complying with a strictly code of practice. What more, all members of Trust My Garage are independent garages – local independent businesses which are part of the community. Trust My Garage is the truly independent scheme for independent garages. Wherever you are in the UK there’s a Trust My Garage member nearby – in April we’ll prove it! At Trust My Garage we’re incredibly proud of our ever-growing list of members, and our charity challenge in April gives us the perfect opportunity to show it off, as well as raising money for a great cause! So, what exactly is the charity challenge? 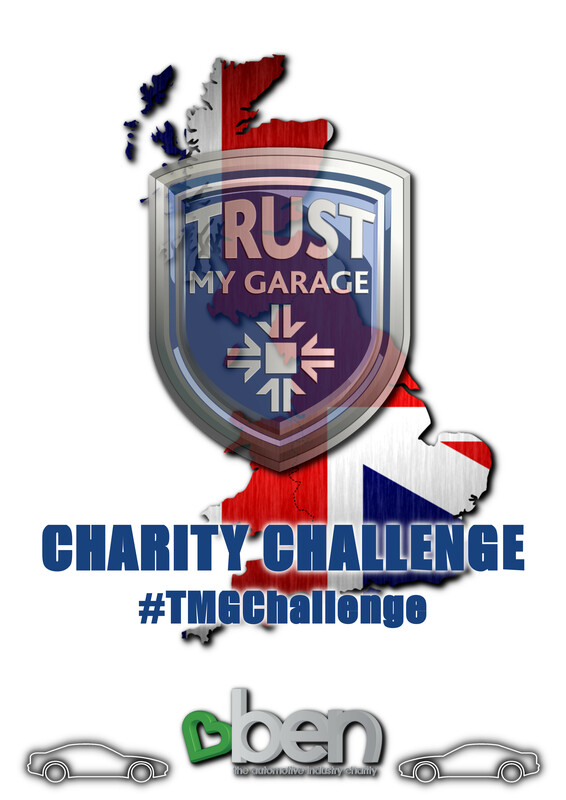 Well, we’re going to set up two Trust My Garage teams which, over the course of four days, will compete (in a friendly nature, of course) against each other, travelling around the country in order to visit the most TMG members in the UK. To add a bit of spice into the equation, the two teams will be fighting for geographical bragging rights, with the ‘Northern Numpties’ squaring up against the ‘Southern Softies’. After all, we all know there aren’t many other things that get the British public as excited as the old North v South rivalry! The charity contest will kick off in Rugby, in the impartial Midlands, and the two teams will navigate their way around the UK using just the TMG website as a route planner. With over 2,000 members to choose from the teams will be spoiled for choice, but it’ll require military precision and logistical thinking from the winner as they try and visit as many garages as possible. Each garage that gets visited will be asked to donate funds for leading automotive charity BEN. The charity has been helping those who have worked in the automotive industry, and their dependents, since 1905, providing invaluable financial, emotional and physical support. It means that wherever you are in the UK, there is an independent garage you can trust nearby – and we are going to prove it! We are so confident that you can quickly and easily find a local garage you can trust using just our website, we are going to do it ourselves! With over 2,000 Trust My Garage members throughout the country, you can find a local trusted garage whether you are lost in Luton, stranded in Swindon or AWOL in Accrington. Once the four days of intense travelling and fundraising is over the money will be officially donated to BEN, and the winner and loser from the great North v South debate will finally be revealed! For more information on the invaluable work BEN does, head to the charity’s website.